Historic Deerfield Inc., founded in 1952, is an outdoor museum that interprets the history and culture of early New England and the Connecticut River Valley. Visitors can tour twelve carefully-preserved antique houses dating from 1730 to 1850, and explore world-class collections of regional furniture, silver, textiles, and other decorative arts on display in the authentic period houses and in the Flynt Center of Early New England Life, a state-of-the-art museum facility featuring exhibitions and a visible storage area. Our research library, the Henry N. Flynt Library, includes more than 21,000 volumes (reference works, microfilm and newspapers) on the history and material culture of the region. Located near the Deerfield, Green, and Connecticut rivers in Massachusetts, Deerfield’s fertile soil and natural topography attracted English colonists searching for agricultural land. The first settlers, Samuel Hinsdale and Samson Frary, arrived in 1669, and the village and surrounding meadows were divided among 43 proprietors. The natural topography of Deerfield provided an ideal site for a familiar English open-field village in which settlers could live in close prox­imity to one another, surrounded by vast, open meadowland. The town plan was remarkably effective and remains well preserved. The English colonists were hardly the first inhabitants, however. Native Americans have lived in this beautiful valley for at least 8,000 years. Early explorers first encountered the Pocumtucks, a pros­perous and powerful group who had farmed, fished, and hunted in the area for generations. Like other Native people, the Pocumtucks suffered from the diseases brought by English explorers, and were later scattered by a conflict with Mohawks in 1665, although a Native presence in western Massachusetts continues until the present. As a frontier settlement, Deerfield regularly suffered from attack. The village was abandoned during King Philip's War after the 1675 attack at Bloody Brook (South Deerfield). Deerfield was resettled in 1682, only to face several more raids in the 1690s, and the devastating raid of February 29, 1704, when 50 were killed and 112 marched off to captivity in Canada. These early events shaped the community and instilled a keen awareness of the past among generations of its inhabitants who took great pains to preserve and commemorate the village’s unique history. Today, the 18th and 19th-century houses of the village center, many on their original site and filled with antique furnishings, reveal the lifestyles of Deerfielders from the time of the first English settlement to the Arts and Crafts Movement in the early 20th century. The village has been on the National Register of Historic Landmarks since 1962. A visit to Historic Deerfield is not complete unless you have explored the many outdoor activities and places of interest that are available in and around the village. Be sure to stop by The Deerfield Inn and Champney's Restaurant & Tavern, both owned and operated by Historic Deerfield, Inc., for lodging, lunch and fine dining. Next door to the Inn is the Museum Gift Shop & Bookstore, where you'll find distinctive shopping and a wide variety of American crafts, jewelry and reproductions, as well as souvenirs, books, and old-fashioned toys. Enjoy breathtaking scenery and interpretive panels on this one-third mile walk past a working farm and meadows to the Deerfield River. 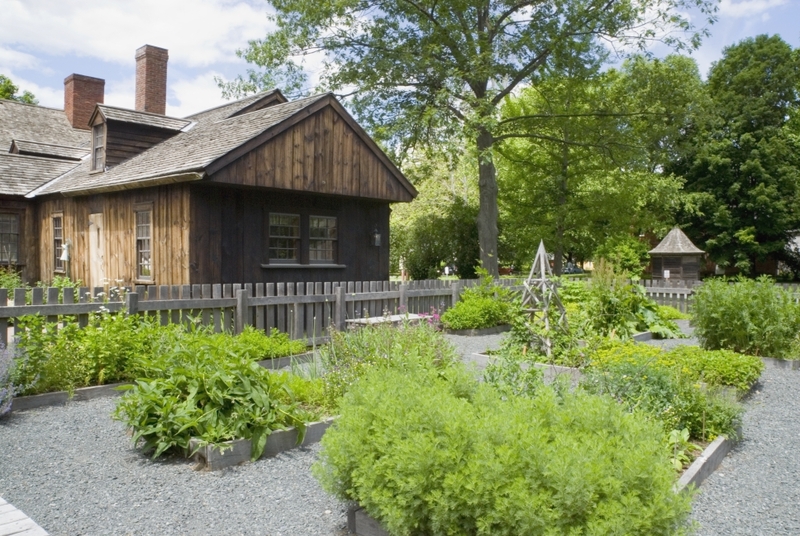 A source of fresh ingredients for open hearth cooking demonstrations, The Cooks Garden contains heirloom plants and herbs used in colonial New England. 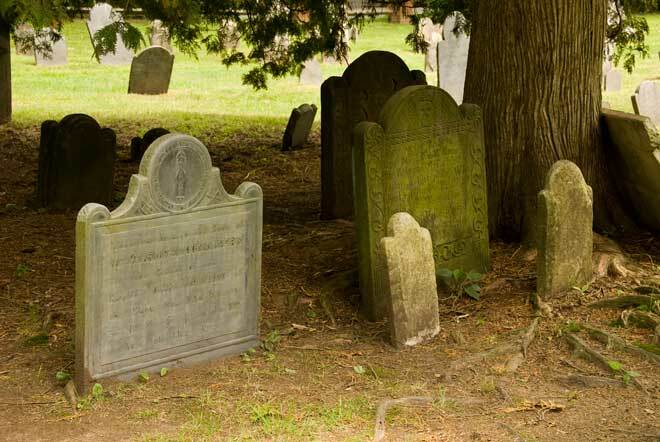 With its many unique and beautiful grave stones, the Old Burying Ground provides a wealth of information about Deerfield’s early settlers.